We’re currently updating the site. Yes, we really mean currently, as in our nocturnal web-pixies are right now sat at their desk beavering away uploading files to the site. This isn’t just another ‘under construction’ GIF that we put up here in 2003 and forgot about! As I’m typing this, it’s currently 22:30 on Thursday 12th December. 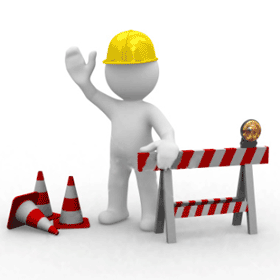 The site should be back online as normal by Friday morning. Please check back in a couple of hours for some awesome new stuff, mainly the fact that it will look a lot nicer on all your spangly smart phones and tablets. In the meantime, if you really, really need to get in touch urgently, please visit our Facebook page where you can leave us a message, or call us (24hr answering machine) on 01453 549460.